How do I get a private MRI scan? I need a private MRI scan; how do I get one? 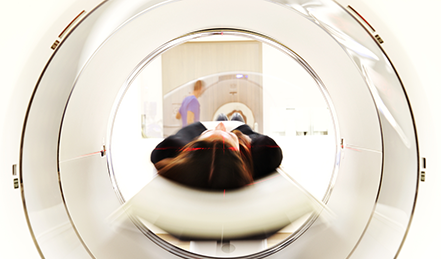 To have a private MRI scan, you’ll need a referral from a registered healthcare professional. A referral contains details of why you need a scan, and can be made by any GMC registered professional in the UK, for example consultants, GPs, physiotherapists, osteopaths etc. To get a referral, you can visit your clinician, who can see you for a consultation and refer you for an MRI if necessary. If you don’t know which type of clinician you should go to, we can help. Call us on 020 7042 1881. Our secure online community, Oryon Connect, is a really useful way for practitioners to send us digital referrals. If they have an account with us, they can send your referral online. Once this has been done, we send you an invitation to sign up for Connect, where you can see our live prices and availability, book and pay for the scan, and then see your scan images after your appointment. Practitioners can sign up to Connect to make the diagnostic imaging route really efficient and streamlined. If your clinician would like a physical referral form to send to us, it can be downloaded here. You can send it by email at imaging@oryon.co.uk, or by fax on 020 7760 6400. Once we receive the referral, our Clinical team will triage (check) it to make sure the most suitable scan is being carried out. Once it has been triaged we can also give a better idea of the price. When you log into Connect after receiving the invite email, you can book your appointment online, using our live prices and availability widget, which allows you to select the best time and price for you. If you don’t want to use Connect, our Bookings team will call you to book you in for an appointment. We offer highly affordable private MRI scans, starting at £200. A standard, 20 minute MRI scan normally takes around 20 minutes, meaning you should expect to be in the centre for about an hour overall. You’ll be given a CD with a copy of your images directly after the scan. They will also be available to view on your secure account on Connect, and on your referring clinician’s account. One of our specialist Consultant Radiologists uses your scan images and clinical details in your referral to draw up a report. We aim to send reports to your referring clinician within one working day via Connect. If they don’t have a Connect account, we can also post or fax reports, which we aim to send in one working day as well. You should book an appointment with your referring clinician to discuss the results of your scan. They use your clinical history and the MRI report to support a diagnosis. We aim to get reports to them in one working day so that they can quickly assess the problem and you can continue making progress in your healthcare journey as quickly as possible. We offer affordable diagnostic imaging in London’s world-renowned Harley Street medical district. If you or a patient need a scan, we’re an efficient, affordable and quick option, with private MRI scans from £200, Ultrasound from £250, X-ray from £40 and DEXA from £65.